It is possible to find yourself getting bored and less motivated when blogging. There may come a time that you find your will power to continue blogging to be weaning but there are ways by which you can keep up your inspiration to continue your passion and desire to maintain your blog. Bloggers need motivation in order to continue their passion especially when they aim to attain their objectives and keep their self more inspired to write for a long term. Bloggers tend to sustain their blogs for a long term when they write about topics or subjects that are within their passion or interest. There is likely a continuity of flow of ideas when you are writing about something that you are more knowledgeable or interested about. The inspiration is always present whenever your topic is something that you are so passionate about because there are many things that you know and want to share to your blog readers. Your blog should be within a niche which you consider yourself an expert or know a lot about. This way you will hardly find blogging a task that you need to do but rather as a hobby that keeps your satisfaction level and happiness at its peak. Sometimes you need a new inspiration in order to continue the flow of your ideas to maintain your blog. Working at the same place at home can easily bore and demotivate your mind from exploring possible inspiring topics to write about. Try looking for a different working spot where your mind can catch more refreshing ideas such as going on a coffee shop or take a spot facing your garden or even going at the beach to catch inspiring ideas. Your blog becomes a more inspiring writing hub when you provide the opportunity of interaction between you and your blog readers. By engaging your readers to your posts by allowing them to comment, you are opening a more interesting way of giving more life to your blog. Make sure to respond and moderate comments as the exchange of ideas among your blog followers will certainly help you become more interested and less bored in maintaining your blog site. Your readers can even provide you new insights and ideas on how you can keep the spark and life of your blog to yourself and to your readers as well. If you find blogging alone to be boring, try to find a blogging buddy. 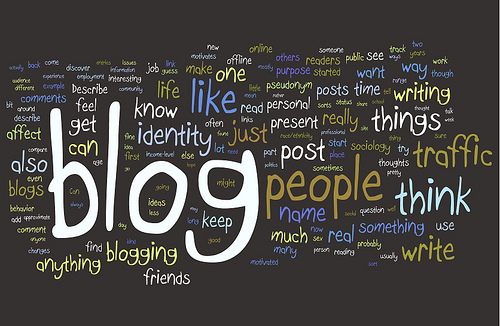 You can easily mind storm for interesting ideas on what to write on your blog. Your blogging partner should share the same interest as you do. Blogging with a partner will keep you away from the boredom and you have someone else to cheer you up. Participating on a blogger’s community can also keep your interest on blogging more active as you learn about new things, new ideas and inspiring experiences from other bloggers like you. You will rarely find it boring when you are able to establish a blogging ritual on your system. As your mind and body is already fit to perform the same task of blogging at a certain time of a day, it becomes a habit that rarely makes you feel that it is a task to do. Blogging about topics that inspires you the most will also keep your drive to blog going and increase your Google site ranking. Are you tired of thinking about what words to use when writing on your blog content? Try skipping using words and explore the value of images instead of texts to make your blog content highly interesting to you and your readers. Using graphic contents on your blog can take your blogging experience to a different level which can certainly bring more excitement or challenge to your blogging tasks. Images can also entice your brain to explore unique ideas and take your mind to view things at a different perspective that will motivate you to explore more.